Boost Nutritional Food Fortification - Fortification of food is not something new. 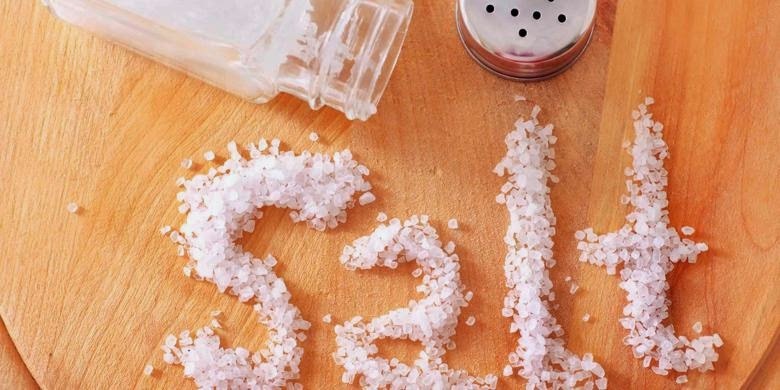 Tens of years salt has been fortified with iodine to prevent goiter. Lately more and more nutritionally fortified foods. For example, eggs enriched in omega three fatty acids. Iodine was first added to salt in Michigan, USA in 1924 with the aim of reducing the incidence of thyroid disease. When the events in the U.S. state was quite high, 47 percent. It turns into the action of iodine enriched salt was managed so as to make the entire state doing the same thing. Skin disease pellagra was also successfully removed during the 10 years after the bread and wheat enriched with niacin, thiamin, riboflavin and iron in 1943. In this modern era the addition of nutrients was more diverse. In the U.S. had sold orange juice fortified omega three fatty acids. In Japan there is a marshmallow products enriched collagen, a substance that makes the skin so young and strong. While in Canada there are manufacturers of ginger ale beverage enriched with green tea to reduce the incidence of coronary heart disease. In the very near future there will be a fortified cheese products of plant sterols to lower bad cholesterol. Then there will be a calorie-free sweetener-containing energy drinks contain probiotics and amino acids for joint health. "Nutritionally fortified food is basically a different way to get the benefits of vitamin supplementation. Research has shown both, "said Sheldon Hendler, MD, PhD, author of The Physician's Desk Reference for Nutritional Supplements. Hendler said there are many advantages in comparison mengasup multivitamins fortified foods. "A lot of the nutrients are dissolved in fat so it digestible nutrients better when put into the food. There is also combined with existing components in the diet and increase nutritional levels, "he said. For example, vitamin A is fat-soluble so good if put in margarine products. Vitmain D will enhance milk nutrition because vitamin D helps the absorption of calcium in the body. But food fortification is not always impressive benefits as "sold" in the label. Especially when compared to the nutrition of the original food. "Food processing destroy nutrients. The more processed, the more damage we receive, "said Marion Nestle, author and professor of nutrition, food and public health at New York University. "Fortikasi is enriched nutritional again. In general, nutrient-fortified foods better than those who did not. But still the superior natural food, "he added. Protein-enriched pasta containing protein similar to the meat. But Nestle argues stay healthier meat as a protein source for pasta made ​​from wheat processed simple carbohydrates that contain high. In addition, we also need to pay attention to portion and strength. Peanut butter is enriched in omega three fatty acids and olive oil has 100 mg of fatty acids per two tablespoon serving. However salom 100 grams of fish, tuna or sardines has 1,500 mg of omega three fatty acids. That means we need to eat 30 scoops of peanut butter and get an extra 180 grams of fat to get the same benefits of omega three fatty acids from the fish dish.